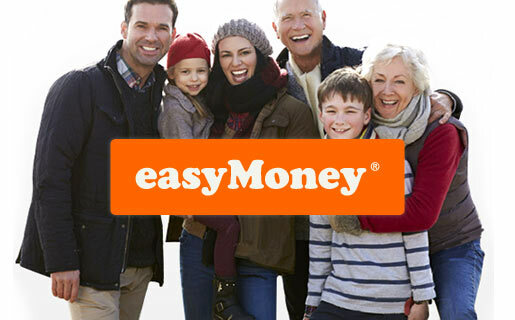 easyMoney, part of Sir Stelios Haji-Ioannou’s easy family of brands, is launching in the UK today (February 26 2018) with an Innovative Finance ISA, offering everyday investors a targeted* 4.05% annual interest rate. The easyMoney ISA, the first of many products planned by easyMoney, builds on the same market-disrupting approach pioneered by easyJet. Just as easyJet made European air travel accessible to everybody, easyMoney aims to make improved personal finance products available to all. The easyMoney Innovative Finance ISA is aimed at investors across the UK who have had enough of the poor interest rates offered by cash ISAs and are nervous about the potential volatility of most Stocks & Shares ISAs. At present, the best easy-access cash ISA offers just [1.21% interest], while inflation stands at 3%, meaning that savers are losing money every day in real terms. Andrew de Candole, CEO of easyMoney says: “Financial services in the UK are in desperate need of a shake-up. Like European air travel 23 years ago, the ISA market is crying out for someone to give everyday investors more for their money. Whereas easyJet has easyJet plus, which gives passengers speedy boarding, easyMoney has ‘easyMoney plus’, which gives instant discounts of between 3%-55% at over 200 of Britain’s biggest retailers. These perks alone can save hundreds of pounds a year. easyMoney plans to grow the range of personal finance products offered through its cutting-edge fintech platform, increasing efficiency and passing on the savings. easyMoney is committed to providing outstanding customer service, offering phone lines and Live Chat open 24 hours a day, seven days a week. Watch out for a range of exciting personal finance products coming soon from easyMoney. Find out more at easyMoney.com. The easyMoney ISA is an Innovative Finance ISA that diversifies investors into multiple property-backed P2P loans. All loans are secured by a first legal charge over a property. Investments are not protected by the Financial Services Compensation Scheme. Capital is at risk and returns are not guaranteed. ISA tax breaks are subject to status and legislative changes. easyMoney is a trading name of E-Money Capital Ltd, which is authorised and regulated by the Financial Conduct Authority with firm reference number 231680.
easyMoney is the latest addition to the well-recognised and respected “easy” family of brands. Founder Sir Stelios Haji-Iannou – aged 51 – is best known for creating easyJet in 1995 when he was just 28 years old. This pan-European low cost airline has revolutionised European air travel over the last two decades, flying over 85 million passengers per year. In 2000 Stelios floated easyJet on the London Stock Exchange in order to fund future growth but he and his family have always remained the largest shareholders with about a one third stake. As easyJet PLC became one of the biggest UK companies by market value, Stelios successfully campaigned to set a dividend policy that now distributes half of annual profits by way of dividends to all shareholders. See www.easyJet.com. The easy family of brands: A strategic decision during the flotation process means that ownership of the ‘easy‘ brand, (including easyJet) is retained in his private investment vehicle, easyGroup, based in Monaco and London. As a result easyGroup now enjoys a steady and predictable income from licensing the easy brand to many businesses including the airline in return for a royalty based on turnover. The easy brand has been extended and licensed to many other sectors – all dedicated to offering consumers more value for less. These include: easyHotel, which was also floated on the London Stock Exchange in 2014, easyBus, easyCar, easyProperty, easyOffice, easyFoodstore, easyCoffee, easyGym, with many more in the pipeline, all of which contribute to easyGroup‘s royalty income stream. Stelios continues to look for carefully selected partners with whom to extend the brand and takes its protection from unauthorised use very seriously. Andrew de Candole is one of the UK’s most experienced entrepreneurs and CEOs, with a track record of creating, building and floating successful businesses. He has 40 years of experience in property, technology, venture capital and asset-backed lending, and has experience across four property cycles. Andrew has started numerous successful private businesses and has taken City Gate Estates PLC and Pathfinder Properties PLC from start-up to public flotation.